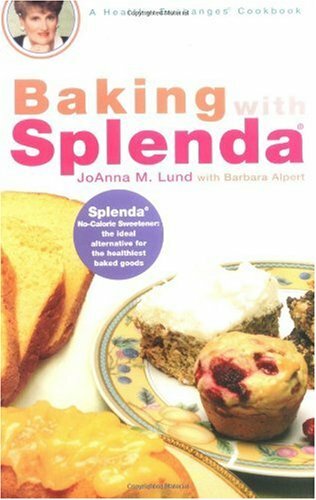 Splendid recipes with Splenda, the no-calorie sugar alternative for the healthiest baked goods. Grandma's scrumptious baked goods-with all the sweetness you remember. From fresh-baked bread and biscuits to hot, finger-licking pies and sweet cobblers to heavenly coffeecakes, cheesecakes, and chocolate chip cookies, JoAnna Lund has accomplished the impossible using Splenda No Calorie Sweetener. Whether it's her Peanut Butter Cup Cookies, Blueberry Crumble Pie or Cappuccino Cheesecake, JoAnna's more than 200 baked goods and desserts are as quick and easy to whip up as they are low in sugar, carbs, and fat.